This morning driving through Upperville, Virginia I noticed it was time for the daffodil show. I asked a friend who is a member of the garden club if she had entered an arrangement. She said no, she loves the daffodils in her garden too much and can not bring herself to cut them. If she wants them in a vase she buys them at the grocery store. 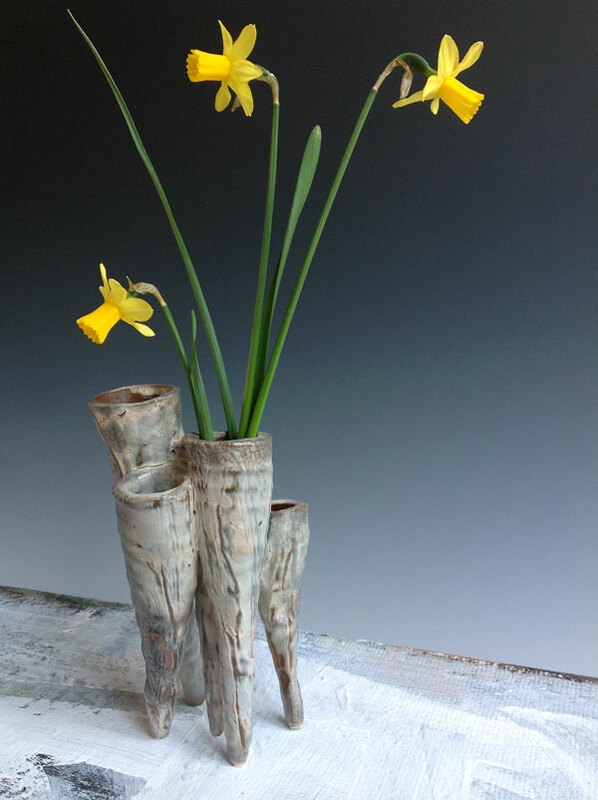 Daffodils are one of my favorite flowers to cut and put in vases. What I love about the ones I grow is the variety. There are the tiny ones that come up first, blooming on stems no more than a couple of inches tall. The mid-season ones are white and yellow, while the late season ones are on tall stems with short cups and delicate petals. I remember as a child visiting my aunt Betty in Long Island and picking daffodils in her garden with great abandon. 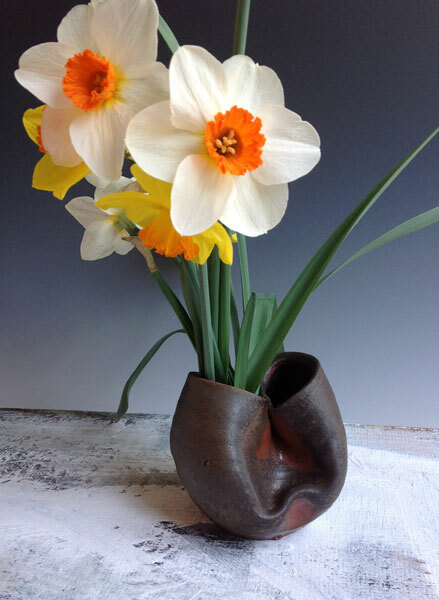 When I lived in Columbia, Maryland in a rented apartment one of my students let my friend and I pick pitchers full of daffodils from her garden. 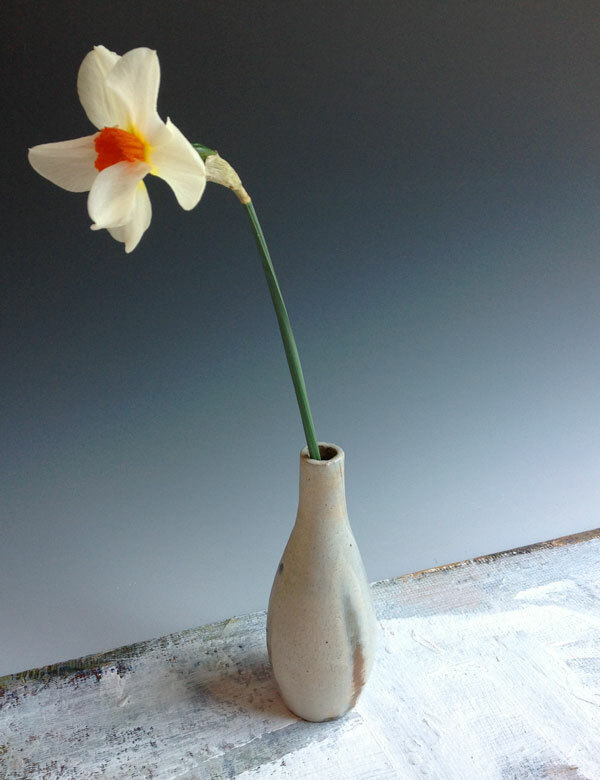 That experience of abundance without having the perfect vase has ignited a cycle in my life. 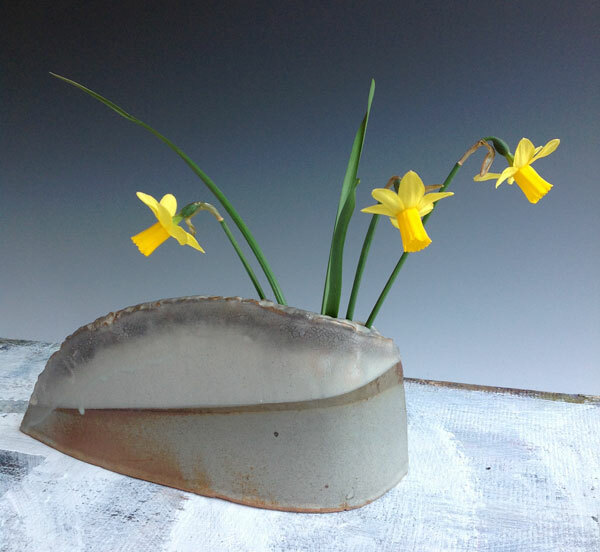 I find each year as the daffodils bloom I am designing new volumes and shapes for next year's blossoms. Bringing the blossoms into the house in a vase lets the vase collaborate with the garden. Putting a flower in a vase creates a visual pause for the eye and in the best of moments gets me to look at my garden more carefully. "It's like this ... All your life you're yellow. Then one day you brush up against something blue, the barest touch, and voila, the rest of your life you're green." 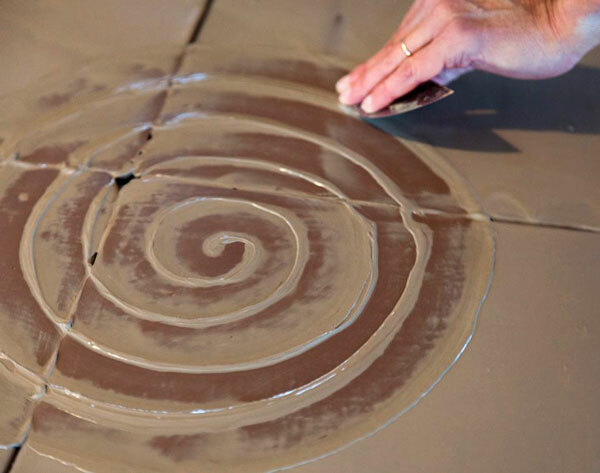 This weekend workshop will focus on a vocabulary and kinetic grammar for applying slips to diverse clay forms. We will explore the poetic potential of texture, line, and pattern. The workshop will include demonstrations, discussion, and hands-on explorations. 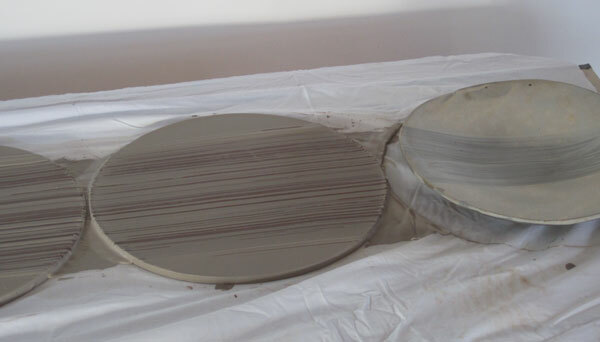 I will show how large scale drawings with natural materials can be transferred to a related series of clay forms. 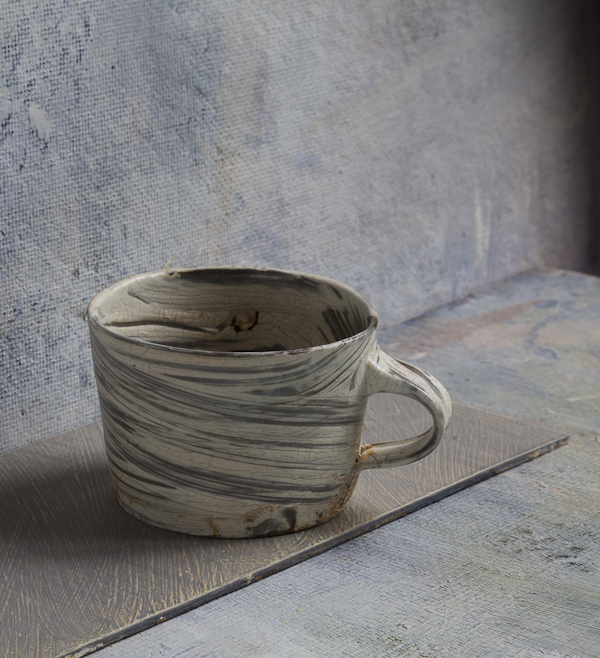 We will experiment with finger painting, brushwork, sgraffito, and inlay.